There is a lot of talk in the horse world about leadership: What leadership is, who is the leader, if there is leadership in a horse herd, how to be a leader, leadership styles and if there should be a leader at all. I find this discussion very interesting and here is my take on it living with a herd of horses for some years now. My herd has a lead mare who is in charge most of the time, but certainly not always. She will clearly lead and then also let the younger ones lead and let the gelding lead too. I see the roles in the herd shifting, especially as the young ones have grown up and want to take their part in leading and organizing their smaller groups within the group. 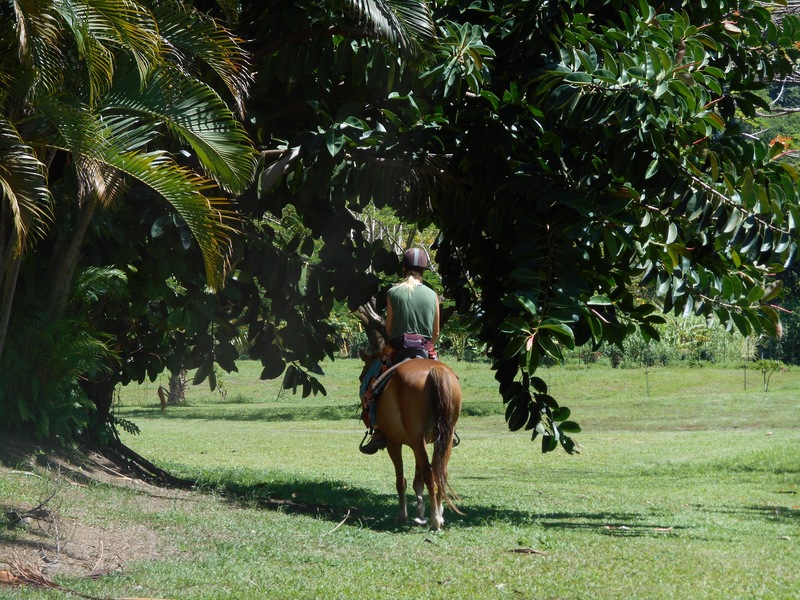 We are right now in the process of training Jack, Darling and Elena to become trail horses and have the confidence to go out on the trail alone. This is a big step for them as I have always walked them in pairs or smaller groups. So what is expected from a leader? What is expected from a leader is, she should be able to see things that other people are not able to see. She does not need to be a super human being, she need not know everything. Most leaders do not know much, but they are able to see things that other people are missing, they are able to put people together for a common purpose. That makes them leaders. I see my horses’ herd with a shifting leadership and the roles in the herd has changed over the years. I have found that it is not one way of leadership and it is not just one true leader, neither among horses, humans or generally in nature. For example, take a flock of geese flying in a “v” shape across the sky as they migrate south before the winter. The lead goose helps break the force of the head winds and thus makes it easier for the other geese following to not use as much effort. 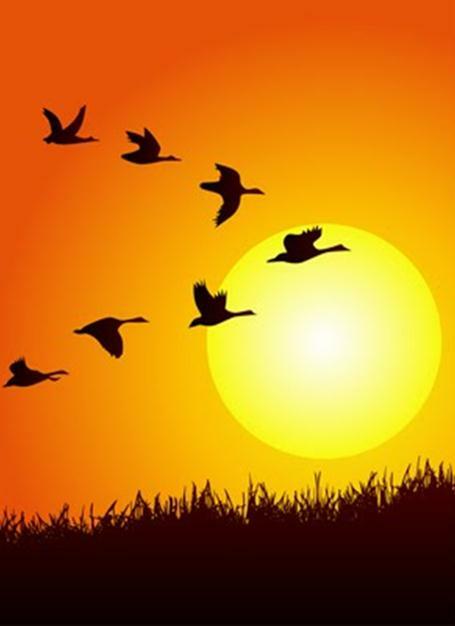 Now the as the geese fly they will shift who is a leader. A rotation will occur and another goose will take the front position in the “V”. It is mutual because all of the geese in the flock benefit with this structured cooperation. This is also called reciprocal leadership. Another aspect of reciprocal leadership is when the follower’s behavior is inverse and opposite of the leader’s in overall performance. When a leader does all of the problem-solving for his or her followers, the followers gradually do lose the ability to solve problems for themselves. Many authoritarian leaders who micro-managed the decision making of their employees complained to me that their employees behaved like children and lacked discipline for doing even the simplest of tasks. When it comes to horses, I do not believe in authoritarian leadership. Once translating this to horse training is that when the horse – as the follower of the human leader and do not have a say, stop thinking and is not involved. The performance and interest of the horse will be less. 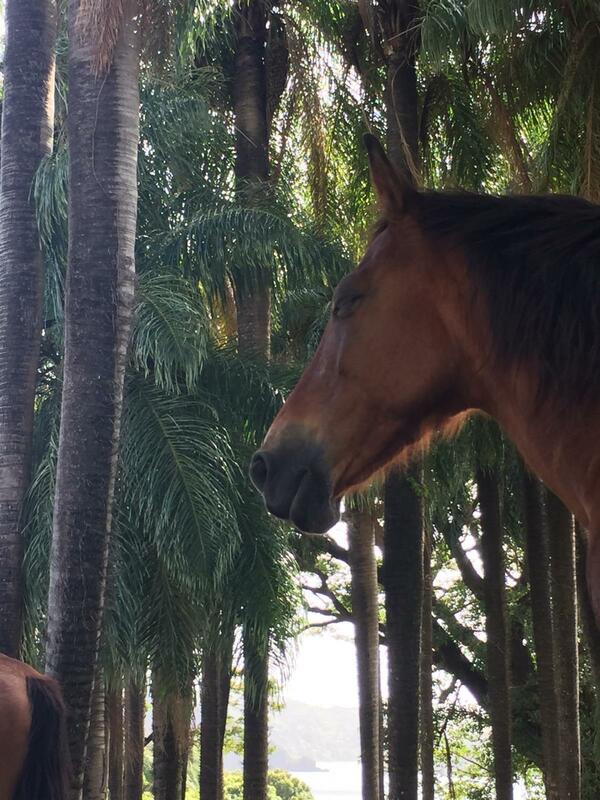 The horse too lose the ability to solve problems for themselves, listen, think and engage in finding solutions. In general top-down leaders are more likely to create the under-functioning, dependency role than side by side leaders. I see alot of top-down leadership on horse training where the horse have little say and do not think this has much benefit in my own case. Jack on his first trail ride alone. Jonna and I are frequently discussing any issues we encounter in making Elena, Darling and Jack good, safe, happy and independent on the trail. Jack had his first trail ride down the river trail alone and it was a big success, he was very excited, alert and energetic. This will also give us the indicator that we are on the right track. In this video it is the first time Jack walks in the front (most of the way) and this was a big step for him. He could walk in front most of the trail and only hesitated to cross a part of the river by the ocean going in front. So we shifted “leadership roles” and asked Elena to walk in front and cross first. We needed to take good time and encourage her a lot. Then Darling followed easily and Jack too. This is an example where by changing roles you encourage leadership and you are thinking ahead of the needed changes to make everybody succeed. Elena is now confident to leave the herd for shorter walks in the fruit garden and she is learning to accept a light contact from the reins through ground driving. She is learning to wait and listen to Jonna even when she wants to move forward Now she has to learn to wait. Then there is the balance so Elena also gets to take some initiatives and decisions, sometimes she will suggest to go another direction or offer a trot when we were to walk. So as we are in the very beginning and want to create an engaged happy riding horse, we will not use authoritarian leadership but give and take with reciprocal movements. example if we ask the horse to do the same exercise as the day before and the horse is “with” us; we are on the right track. If not we need to change our program and to bring back the interest and engagement. 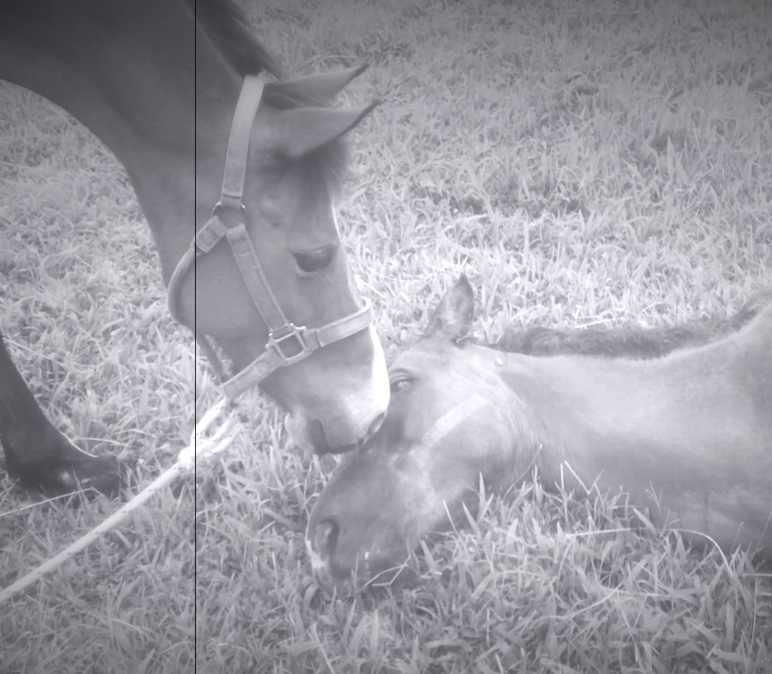 As my horses lived very close together for years, separating one to go alone on a longer trail ride alone is difficult. We as “leaders”, “teachers” or “initiators” have a task to find the right balance when we can ask what, how much to ask to be sure the horse is “onboard” and stays willing to requests. Jonna and I talk a lot about how to keep the forward flow and avoid any small unnecessary discussions. If for example a horse one day wish to discuss the umbrella on the terrace and not move forward, we will get off, walk past the umbrella and get up again later. Or if Jack decides he does not want to leave Spirit to go on a trail ride this day and he is very persistent about it, we might just let him stay with Spirit that day and try again the next day. The next day we have prepared ourselves to get a YES and put a bucket of snacks out on the trail. I think a leader does not have to have a particular quality, but a leader has to have sense of life beyond herself. Somebody who becomes a leader has a sense of identity beyond themselves and is willing to think, feel and act for more people than herself. A leader is capable of something, say something or do something and they have attention to details. They generally work on improving their competence. Leadership also happens as a consequence and not a desire. About leadership style I would say – whatever you do – do it with style! Happy weekend and much sunshine to every one! Please leave a comment or question! This is very intresting and so important to consider in your relationship with horses. 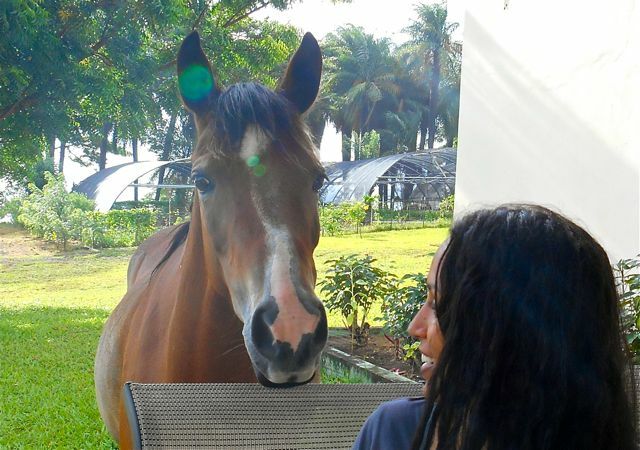 Horses are great teachers for us to improve leadership skills, and not only leadership with the horses but also to apply in other situations in life. I think many people have the idea that leadership is about authoritarian leadership, but I think a good leader like you say, have to be balanced, be aware and know when to lead and when not to and let other lead. Reciprocat movements. I’m learning so much about how to lead, and it’s so energetic when you get the flow and balance with the horse! Thank you for your comment Jonna, I so much enjoy working with you and learning along the way too. I think we have a good reciprocal relationship! Leadership and being a good guide is something we can study and improve all our lives. 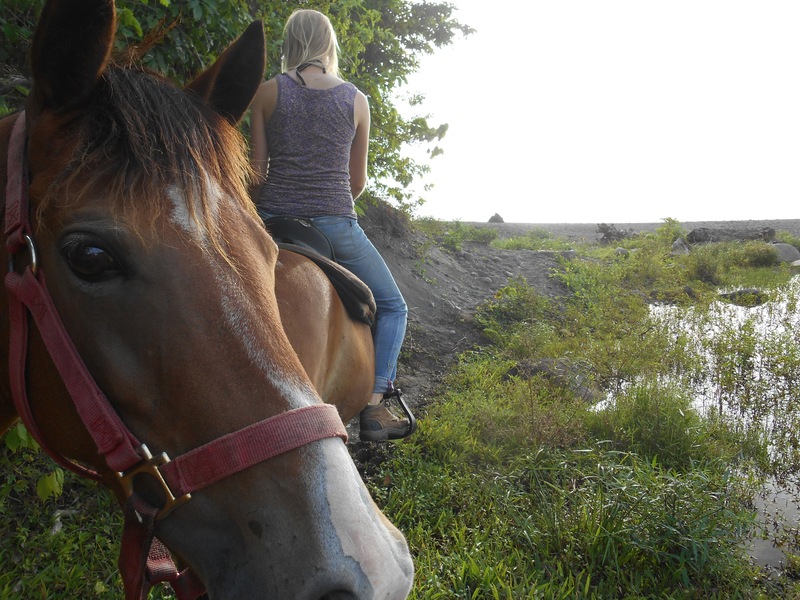 So today we go to ride to the ruins of the old sugar mill in the jungle followed but the long beach ride back. Video coming. The video is called Another Kind of Ride – a spiritual one! I really enjoyed reading this Stina and couldn’t agree more. I have shared it on my business page on Facebook and hope you get more readers. Thank you so much Maisie for your comment and for sharing it! What is your business page?